He travels to North Syria to discover how, a thousand years ago, the great astronomer and mathematician Al-Biruni estimated the size of the earth to within a few hundred miles of the correct figure. He discovers how medieval Islamic scholars helped turn the magical and occult practice of alchemy into modern chemistry. In Cairo, he tells the story of the extraordinary physicist Ibn al-Haytham, who helped establish the modern science of optics and proved one of the most fundamental principles in physics - that light travels in straight lines. Prof Al-Khalili argues that these scholars are among the first people to insist that all scientific theories are backed up by careful experimental observation, bringing a rigour to science that didn't really exist before. Did you see The Nileometer in episode 2 to measure the level of water in the Nile? I read somewhere that Ibn al-Haitham believed that human beings are flawed and only God is perfect. To discover the truth about nature, Ibn a-Haitham reasoned, one had to eliminate human opinion and allow the universe to speak for itself through physical experiments. "The seeker after truth is not one who studies the writings of the ancients and, following his natural disposition, puts his trust in them," the first scientist wrote, "but rather the one who suspects his faith in them and questions what he gathers from them, the one who submits to argument and demonstration." I think there is a documentary on astronomy and Islam as well called the Power of Doubt... I am looking forward to it....have you seen it? Brilliant...such a fine documentary...it was so interesting and well presented...I think even to know the limitations of science one must be a part of living science....I couldnt agree more that science is the universal language of the human race.... and nothing is of higher value than Truth itself..
One must remember that this philosophy existed at a time in which strict obedience to the Islamic religion was customary. Islamic philosophy was also concerned with the basic issue of the relation between human reasoning and the revelations provided to the Muslims in the holy Qur’an. As a result, all sorts of sciences were studied in order to determine that relation between the universe and the human being on one hand, and the creator of that universe, Allah Most High, on the other hand. The impact of Islamic philosophy on the Renaissance was enormous. First and foremost, Islamic philosophy originates from a time when Islam had a great influence on everyday life. The mere fact that Islamic philosophy was able to operate in such a fundamentalist environment greatly affected the Renaissance. Secondly, in general, Islamic philosophy always leads to one main conclusion, that the power of Allah Most High is supreme and that His words are the absolute truth (although through different understandings). Finally, Islamic philosophy greatly encouraged science, particularly mathematics and medicine. Without philosophy’s constant encouraging of scientific development, the large number of discoveries made by the Muslims may never have taken place. Therefore, what were the factors behind the success of the Muslim scientists? How did Islamic philosophy encourage them to be leaders in many branches of science, especially in the medical sciences? 1. Secular: Hospitals served all peoples irrespective of color, religion, or background. They were run by the government rather than by the church, and their Directors were commonly physicians assisted by persons who had no religious color. In hospitals, physicians of all faiths worked together with one aim in common: the well-being of patients. 2. Separate wards: Patients of different sexes occupied separate wards. Also different diseases especially infectious ones, were allocated different wards. 3. Separate nurses: Male nurses were to take care of male patients, and vice versa. 4. Baths and water supplies: Praying five times a day is an important pillar of Islam. Sick or healthy, it is an Islamic obligation; of course physical performance depends on one's health, even he can pray while laying in bed. Before praying, washing of face, head, hands, and feet must be done, if possible. For certain conditions, a bath is obligatory. Therefore, these hospitals had to provide the patients and employees with plentiful water supply and with bathing facilities. 5. Practicing physicians: Only qualified physicians were allowed by law to practice medicine. In 931 A.D., the Caliph Al-Mugtadir from the Abbasid dynasty, ordered the Chief Court-Physician Sinan Ibn-Thabit to screen the 860 physicians-of Baghdad, and only those qualified were granted license to practice (Hamarneh 1962). The counterpart of Ibn- Tbabit, Abu-Osman Sai'd Ibn-Yaqub was ordered to do the same in Damascus, Mecca, and Medina. The latter two cities were in need for such an act because of hundreds of thousands of pilgrims visiting them every year. This was to prevent taking advantage of these pilgrims and to curb the spread of diseases among them. 6. Medical schools: The hospital was not only a place for treating patients, but also for educating medical students, interchanging medical knowledge, and developing medicine as a whole. To the main hospitals, there were attached expensive libraries containing the most up-to-date books, auditoria for meetings and lectures, and housing for students and house-staff. 7. Proper records of patients: For the first time in history, these hospitals kept records of patients and their medical care. 8. Pharmacy: During the Islamic era, the science and the profession of pharmacy had developed to an outstanding degree. The Arabic materia medica became so rich and new drugs and compounds were introduced because the Muslims had contact with almost all the known world at that time, either through control or trade. Their ships sailed to China and the Philippines, and their convoys made trades with black Africa, Europe and Asia. Chemistry became an advanced science, and there were means and need for a specialization called pharmacy. Thus, the main Arabian hospitals were models for medieval hospitals built later in Europe. They were rather medical schools to which those seeking advanced medical knowledge, from the East or West, attended. I was fervently attached to the pursuit of this subtle science [of machines] and persisted in the endeavor to arrive at the truth. 'The eyes of opinion looked to me to distinguish myself in this beloved science. Types of machines of great importance came to my notice, offering possibilities for types of marvelous control. Bath al-Zaman al-Jazari, Turkey, 1206. The idea of using water pressure to achieve automation reached its pinnacle in the development of clocks. 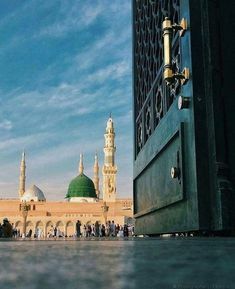 The need to know what time to pray was a crucial spur in Islam to the development of water clocks which could keep the time through day and night. Water clocks such as that of al-Zarqali in Toledo (11th century) became the wonders of the age. One extraordinary device is a water clock in the shape of an elephant, designed by an engineer called Badi al-Zaman al-Jazarj and illustrated and described in his Book of Ingenious Devices (1206). The elephant clock combined water principles' from Archimedes with an Indian elephant and water timer, Chinese dragons, an Egyptian phoenix, a Persian carpet and Arabian figures. Al-Jazari was born in the region of al-Jazira between the Tigris and Euphrates in the 12th century. This was a-time when the Turkic-speaking peoples were already beginning to make this part of the world their own, and in 1174 he went to work for the Banu Artuq, the rulers of Amid (now known as Diyar Bakir in southern Turkey). There may have been many engineers as talented and as innovative as al-Jazari, but he was also a skilled communicator who could write and draw too. He must have been an old man, though, when the Prince of Amid, Nasir al-Din Mahmud, ordered him to write his book, for within a few months of completing it he was dead. Researchers are just beginning to go through this book, which seems to be the culmination of Islamic mechanical technology, to try out some of these machines - either on computers or by building models according to al-Jazari's designs. What they are finding is beginning to cause quite a stir. Excerpted from the book "Science & Islam" by Ehsan Masood.